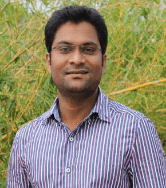 In this tutorials, we are going to see a Step by Step Spring Boot Docker deployment process. Here I am going to create a simple spring boot hello world application and deploy it on docker engine. Install Docker on your machine to run the application. You can follow the steps here to install docker desktop on windows 10 operating system. No separate dependencies required for docker. Creating a Simple Spring Boot Rest Controller. FROM: is used to get the image from docker hub. Here we are getting the openjdk:8 version 8 from docker hub as our application is java based. ADD: is used to adding the application jar (/target/spring-boot-docker.jar) file to Docker container. EXPOSE: is used to define the port on which the container should expose. ENTRYPINT: is used by the docker to start the application. 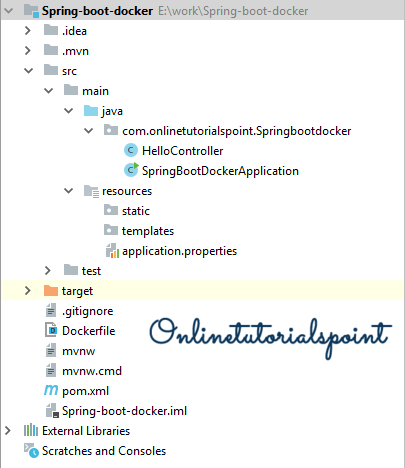 Build the Application using maven: It will generate spring-boot-docker.jar file and placed on /target folder. Step 1: Build the application using Docker. Go to the terminal and execute the below docker commands. E:\work\Spring-boot-docker>docker build -f Dockerfile -t spring-boot-docker . Using the docker build command we are going to executing the -f Dockerfile (which we defined as part of docker file configuration) and creating tag with the name of -t spring-boot-docker, and the (.) dot tells where the Dockerfile exist, for our case the Dockerfile available in current working directory so that given as dot. We can observe the above logs containing 4 different steps (which we defined in Dockerfile) while executing docker build command. Step 2: After successful completion of step 1 we can see the docker image by hitting the docker images command. We can see our latest spring-boot-docker image in the list. Step 3: Run the docker image on 8090 port using the below command. How to push docker image to docker hub ?